The vocation to the consecrated life as a religious brother is a great gift of God. Brothers live the vows of evangelical perfection. We also live the common life of liturgical prayer, mental prayer, study, work, and apostolic action in a masculine atmosphere of joy and sacrifice. For us Slaves of the Immaculate Heart of Mary [The male branch of the Slaves of the Immaculate Heart of Mary is constituted of brothers only and not, at the present time, priests], our Marian life of total consecration is a chivalrous service of the Queen of All Hearts — who wishes to unite us perfectly to the King of Kings. 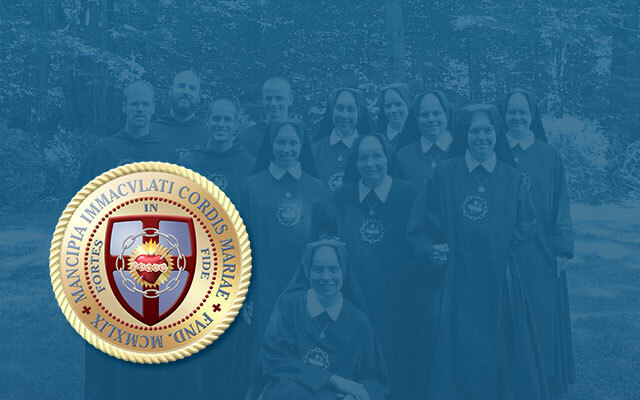 Our manifold apostolate includes education, publishing, street evangelism, and the fostering of a vibrant Catholic community life among the families who worship with us. Are your personal aptitudes not found in any of these? Besides all this, we need brothers who can tend to our temporal affairs, which include chopping wood, mowing grass, maintaining our buildings, keeping the books, doing sacristy work, producing print and digital media, and many other things.